The company has said the XUV300 is based on shares its platform with the SsangYong Tivoli, a mini SUV by the Korea-based auto company, which has sold over 260,000 vehicles in over 50 countries since its launch in 2015. Mahindra & Mahindra Ltd (M&M) today unveiled the brand name of its highly-anticipated new car. The product, which was initially code-named S201, will be called XUV 300. The XUV, which is a compact SUV, is pitched to be from the family of Mahindra's XUV 500. As per the company, the XUV includes several characteristics of XUV500, including design and agility. The XUV300 will be manufactured at the company's manufacturing facility at Nasik, Maharashtra, and is expected to be launched in February 2019. The XUV 300 is expected to take on the likes of Maruti Vitara Brezza and Hyundai Creta. The company has said the XUV300 draws from the SsangYong Tivoli, a mini SUV by the Korea-based auto company, which has sold over 260,000 vehicles in over 50 countries since its launch in 2015. "It's always an emotional moment when your family expands. 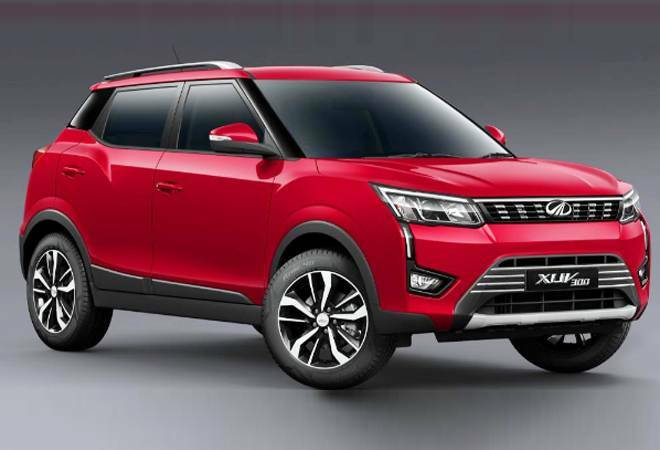 Please join me in congratulating the XUV5oo for the new member in its family...A new cheetah racing ahead...," tweeted Mahindra & Mahindra Chairman Anand Mahindra, indicating the company's plan to launch the XUV 300 soon. "The XUV300's headlamps integrate with the fog lamps forming a Cheetah-like tear-duct, while the pronounced wheel arches are inspired from the muscular haunches of the Cheetah. Its modern grille, sculpted bonnet, pronounced shoulder & body lines along with an elevated stance, give the XUV300 a bold and charismatic road presence," the company said in a statement. "XUV500 enjoys huge equity in consumers' minds and now with the XUV300, the XUV brand will evolve into a family of vehicles that stands for sophistication with performance," Pawan Goenka, Managing Director, M&M, said. An electric variant of the XUV is also expected to hit the road by 2020. Experts say the XUV300 could be one of the most promising launches from Mahindra & Mahindra. The Twitter handle of Anand Mahindra was abuzz with people reacting to the launch of the XUV300. "Congrats MahindraXUV500 ...Be more responsible you are an elder brother now..," tweeted a user, to which Anand Mahindra replied saying, "You got it...Bade Bhaisaheb!" Adding a little bit of humour, another user said "It's (XUV3oo) is baby beast 300". "Bade miyan to bade miyan.....chote miyan to subhan Allah....!!!! @mahindra XUV 300," tweeted another user.